Jose Antonio (Dono) Offerman was born on November 8, 1968 in San Pedro de Macoris, Dominican, Republic. The six foot infielder was signed by the Los Angeles Dodgers in 1986 as an amateur free agent. 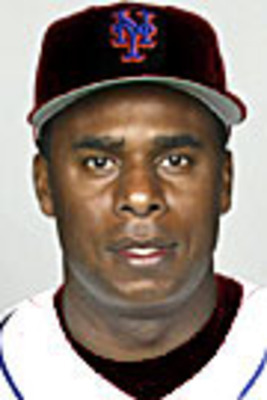 He made it to the big leagues by 1990, hitting a HR in his first MLB at bat on August 19th against the Montreal Expos. He began by playing behind Alfredo Griffin, taking over as the Dodgers main short stop from 1992-1995. He led the NL in errors three seasons at short (1992-1993-1995) but did steal 30 bases in 1993. That season on Opening Day he became the first batter to ever face the new Florida Marlins. He made his first All Star game in 1995, hitting .287 on the year posting a .389 on base %. At the end of the season he was traded to the Kansas City Royals for Billy Brewer when the Dodgers acquired Greg Gagne via free agency to play short. Offerman spent three years in Kansas City having his best years. He hit .303 in his first season, and then followed up with his career year. He batted .315 in 1998 with 191 hits (7th in the AL) 28 doubles & 89 walks (5th in the AL). He led the league in triples (13) for the first of two straight seasons posted a .414 on base %, with 45 stolen bases (5th in the AL) &. 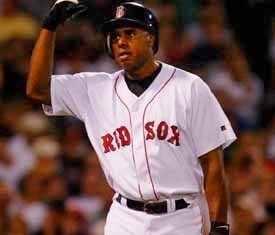 In 1999 he signed on with the Boston Red Sox & made another All Star team, led the league in triples again (13) and hit .294. Post Season: He had a good post season batting .389 against the Cleveland Indians in the ALDS driving in six runs, with a HR & five RBIs in the Red Sox 23-7 win in Game #4 at Fenway Park. In the ALCS he hit .458 going 11-24 with two RBIs & four runs scored. He spent three and one half seasons in Boston but his numbers fell off drastically never hitting above .267 in that time. Offerman was sent to the Seattle Mariners to finish the year. He was signed by the Montreal Expos but was cut from the team & played 2003 in the Independent League with the Bridgeport Blue Fish. He returned with the Minnesota Twins in 2004 batting .256, then signed with the Philadelphia Phillies in 2005. He was released at the end of May after 33 games batting just .182. In early June he was signed by the New York Mets. Offerman was used mostly as a pinch hitter getting nine hits & five walks in that role with 32 at bats. In his Mets debut he got a hit & drove in a run against the Phillies who had cut him a month earlier. In his last career game he had a pinch hit single & then lined out for the final out of the Mets 2005 season in Colorado. In his Mets career he played in 53 games batting .250 with two doubles, six walks & ten RBIs. In his 15 season career he batted .256 with 1551 hits, 252 doubles, 72 triples, 57 HRs 172 stolen bases, 772 walks & a .360 on base %. At short he 149 errors posting a .943 fielding % in 607 games. In his career he also played first & second base as well as outfield. 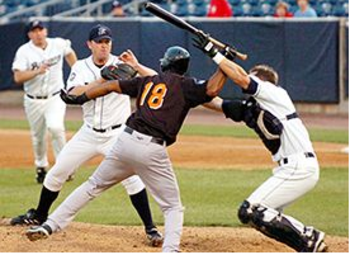 Retirement & Drama: In 2007 he was back with the Bridgeport Blue Fish and in a game on August 14th he was thrown out of a game after going after Long Island Ducks pitcher Matt Beech after he hit Offerman with a pitch. He broke the pitchers finger as well as injuring catcher John Nathans, both were taken to Bridgeport Hospital. Offerman was arrested by Police & suspended indefinitely by the Independent League. He was sentenced to two years special probation but Nathans filed a $4 million law suit against Offerman, claiming he ended his playing career because of the incident. 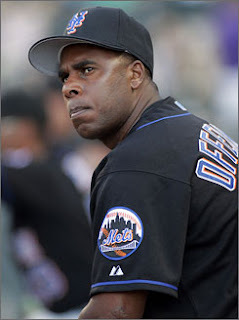 In 2008 Offerman won a championship as manager of the Lacey Tigers in the Dominican League. 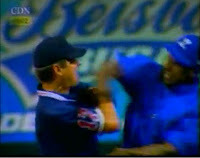 In 2010 in game against the Cibao Giants being umpired by an American umpiring crew, Offerman hit one of the umpires. 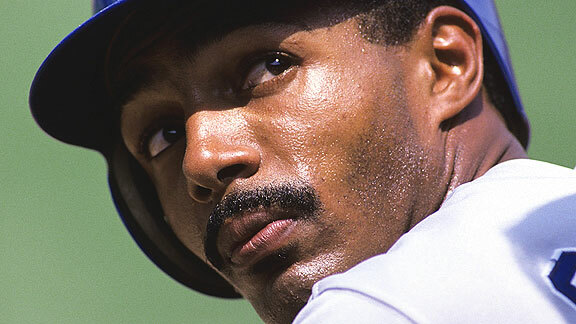 He was detained by Police & eventually banned for life from Dominican Baseball. The umpires had to leave the country due to safety issues the next day.